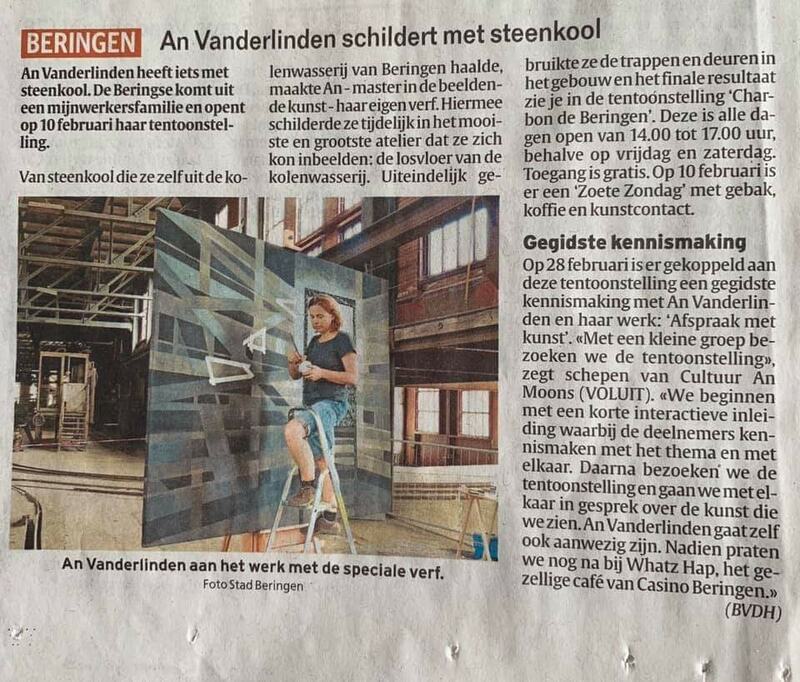 During 4 months, Vanderlinden painted in an old building that belonged to the former coalmine of Beringen, Belgium. She tells everything about it in delay, as from October 1. You can follow her adventures here. The paintings she made, will be shown in CC Beringen as from february 10 untill march 3, 2019.